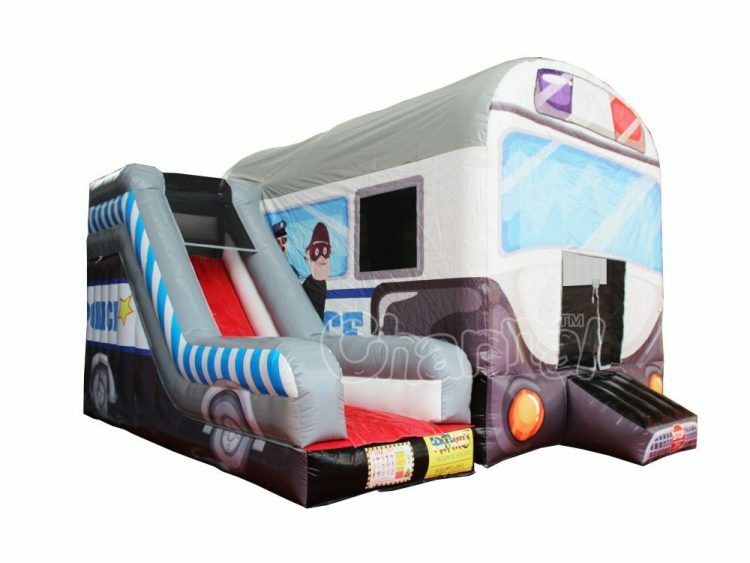 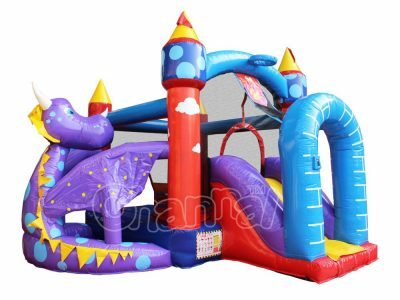 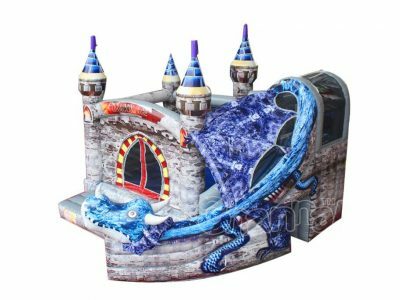 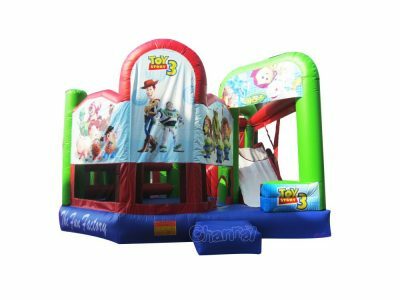 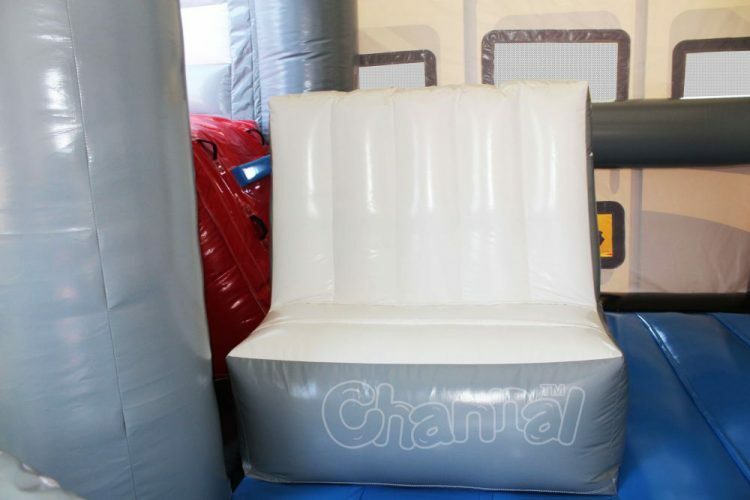 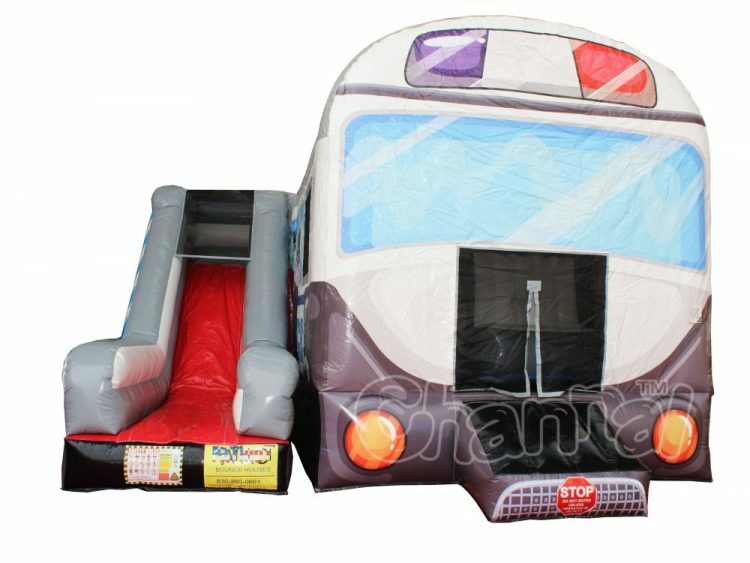 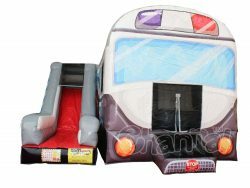 Commercial police bounce house with slide for sale. Do you hear the police car siren sound, that is our policeman busting robbers and thieves. Here comes our police car bounce house combo with inflatable slide, featuring a police officer handcuffing a sly mask guy right next to a police car. 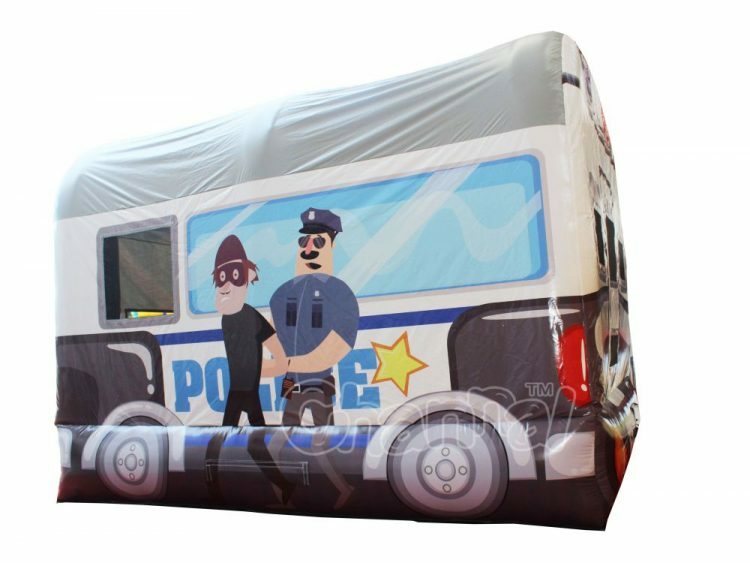 You may set this combo up for a kid whose parents are policemen, or a cops and kids event hosted by police department.